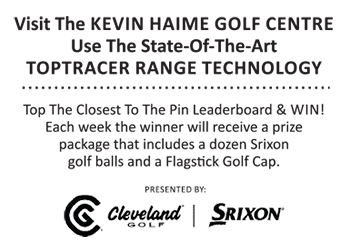 HomeGolf EquipmentSkechers Deal In The Future of Brooke Henderson? Skechers Deal In The Future of Brooke Henderson? If you’ve followed Brooke Henderson since she turned pro (and most of the golf world now has an inkling who she is) you might be aware that her choice of on-course footwear has usually been a model of FootJoy shoes. While she was not under contract to the company, it was her brand of choice and her pairs were often adorned with custom touches through their MyJoys program. Often the phrase “I (love) Golf” was included. It appears that her run of wearing FootJoy shoes may have come to an end. The 18 year-old, who is now the #2 ranked player in the world, just might have a new shoe deal. Nothing has been announced as of yet but during an appearance in Calgary this week for a junior golf clinic sponsored by PING at the Golf Canada Calgary Centre, Henderson was wearing Skechers GO golf shoes. The shoe choice was clearly visible in several images posted on Twitter by the Golf Canada Centre. Henderson was also sporting the new footwear on Wednesday during a promotional event with one of her sponsors, BMW Canada, at the Ottawa Hunt & Golf Club. Skechers currently has a number of high-profile golf professionals on contract, most notably Matt Kuchar, Colin Montgomerie, Russell Knox, Bill Andrade, and Belen Mozo, and has also provided support for a number of Symetra Tour players. Is the latest LPGA major champion next on their list? She recently signed a deal with Google to endorse their AndroidWear watches and might be the hottest commodity in Women’s golf right now. Companies want to attach themselves to her rising brand. We’re guessing they’ll be an announcement very soon.